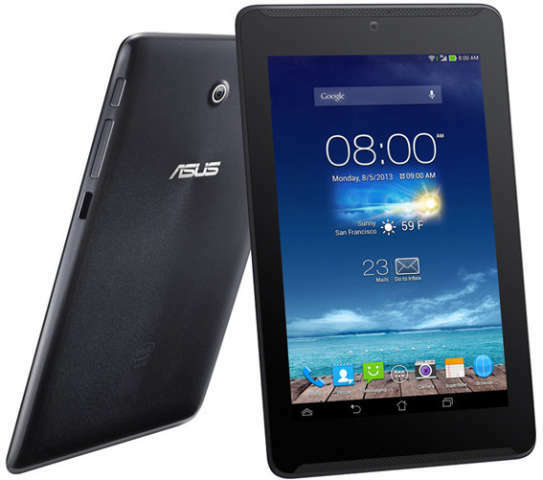 Asus India has officially introduced the Fonepad 7 with amazing features at very reasonable price. The Fonepad7 has 7inch display with smudge resistant coating to prevent fingerprints and 1.6GHz Intel Atom CPU with Hyper Threading tech. It would compete with Micromax Canvas Tab P650, Xolo QC800, Xolo Play Tab 7.0 and Nexus 7 2013. The Fonepad-7 features 3G HSPA+ with voice calling, dual frontal speakers integrated on SonicMaster audio technology. It houses 3950mAh battery, which offers 28 hours of talk time, 35 days standby time and comes with many useful apps to make the handset more approachable. In terms of dimensions it is 10.5mm thick and weighs 340 grams. The Fonepad-7 is priced at RS17500 in India, it would be soon available in stores.